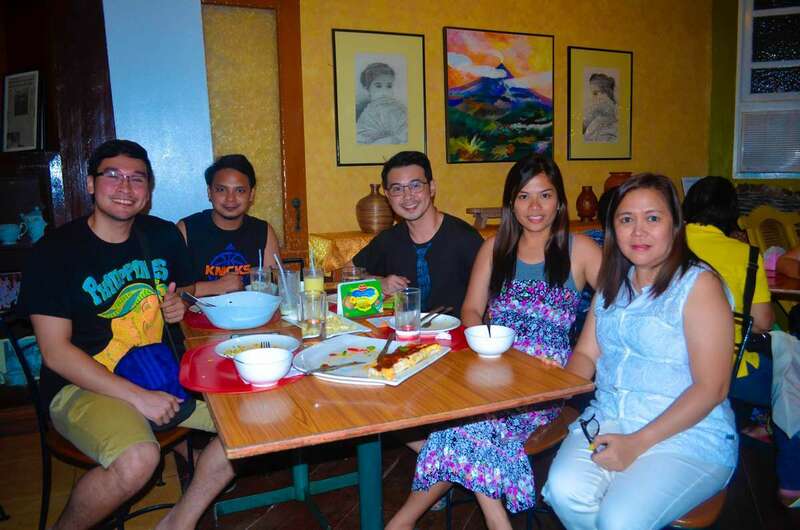 Dubbed as the best restaurant in Legazpi City, Small Talk Cafe satisfies its guests with Bicolano-fusion cuisine. Their menu is very interesting and there are sooooo many items to try. 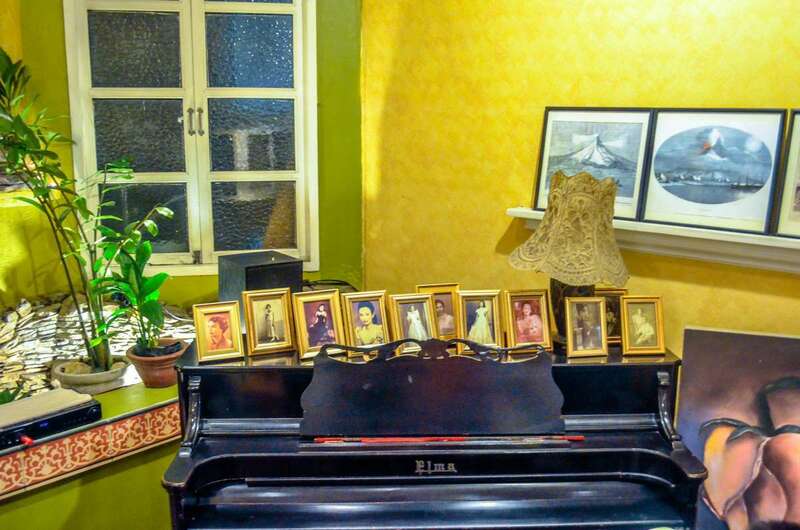 The traditional Bicolano favorites are transformed into new creations. They have the Mayon Pizza. 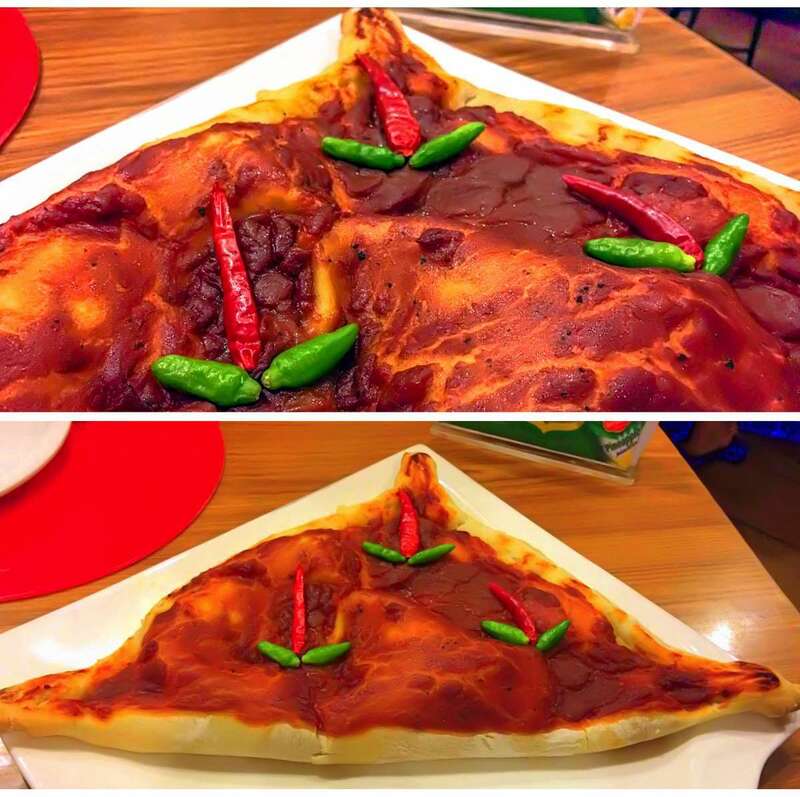 It’s a stuffed pizza shaped like the majestic Mayon Volcano. Inside it are pinangat and Bicol express, plus cheese to mellow down the heat. 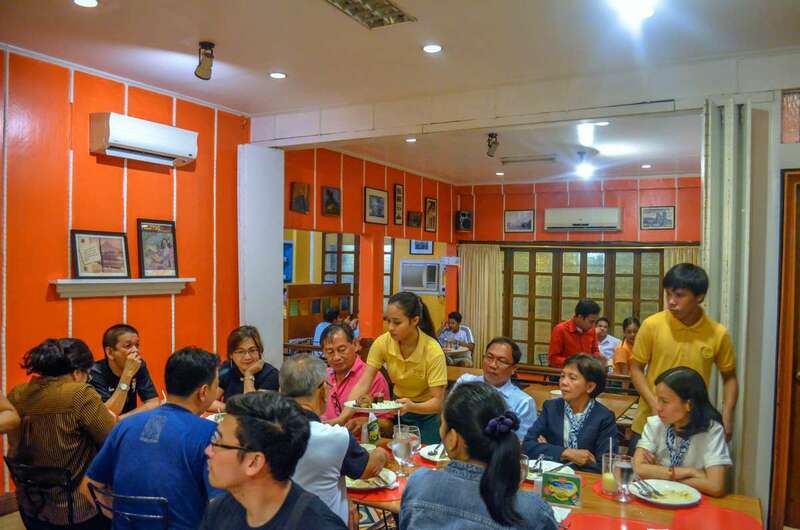 Pinangat is a Bicolano dish made of taro leaves cooked in coconut milk, while Bicol express is a spicy local dish with pork, shrimp paste, and chili cooked also in coconut milk. 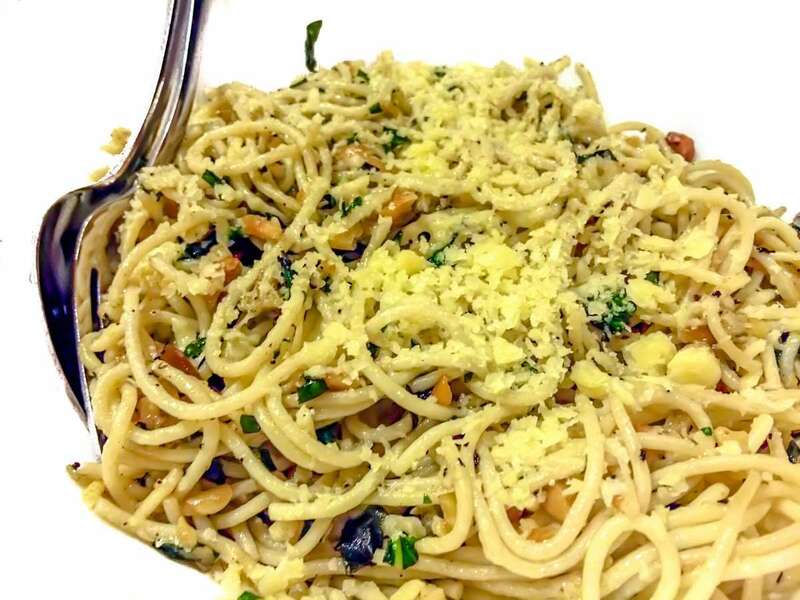 The Pili Basil Pasta highlights the pili nut which is abundant in the region. 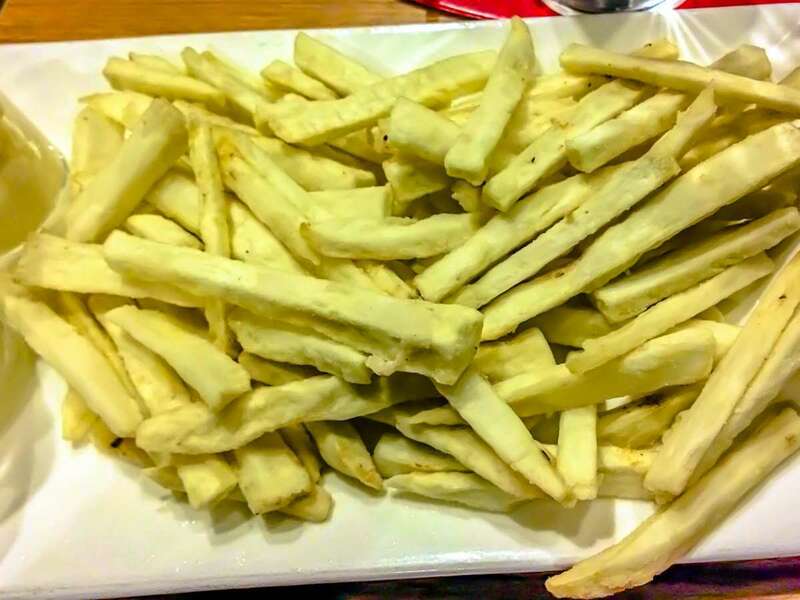 The Albay Fries is made of sweet potatoes. But the most exciting part of the meal is when we had our dessert…the Red Hot Lava Ice Cream. Scoops of ice cream topped with special sweet and extra spicy sauce like lava oozing from a volcano, and bits of chili, made the experience something to remember. This has a strrrrrong kick! 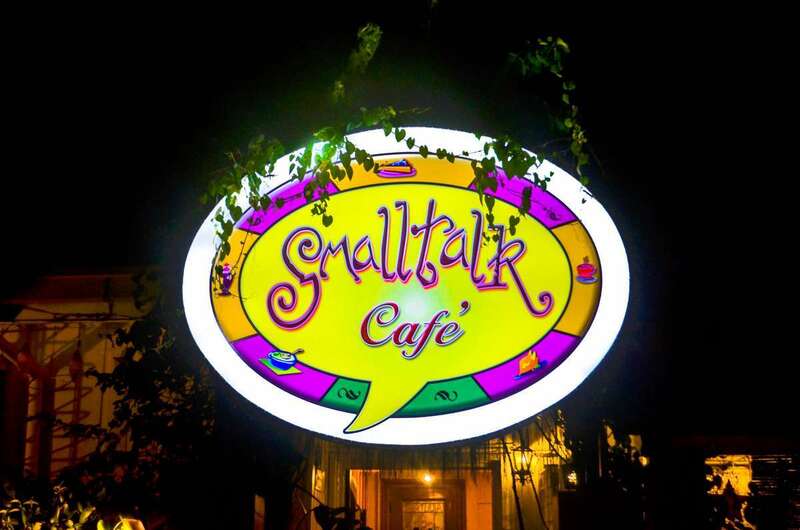 Small Talk Cafe opened in 1999 and since then, it has gained prominence not only in the city, but in the whole region. 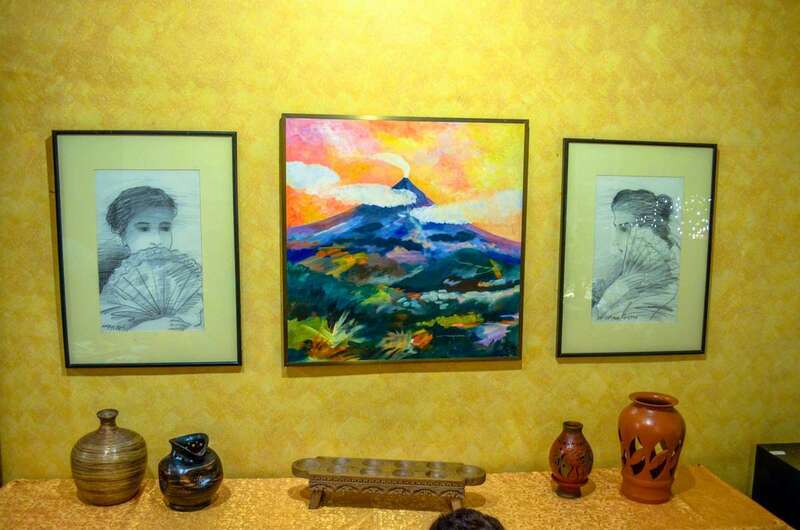 It has a homey ambiance decorated with artworks showcasing the Bicolano culture, history, and landscape. Celebrities, politicians, locals, and tourists go to this place. It’s packed even on weekdays. The waiting time to be seated is reasonable, but it’s best to make reservations. Their Red Hot Lava Ice Cream is soooo hot I could feel its heat from where I used to live from about 6 houses away. ???? 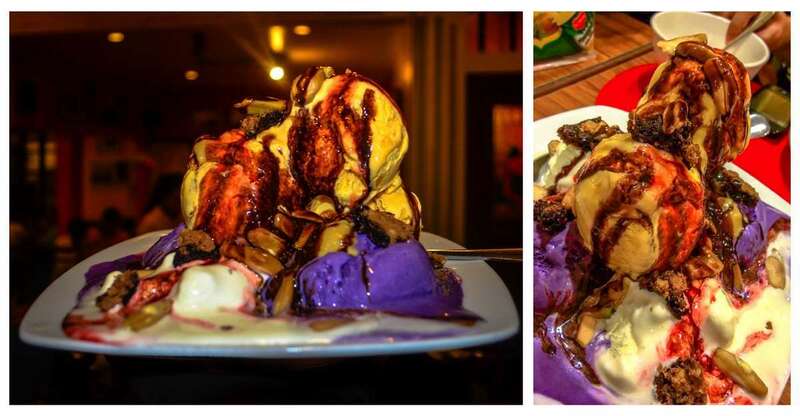 Kidding aside, like the famous Mayon Volcano, this ice cream is now a food-tourist attraction.